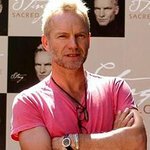 16-time Grammy Award-winner Sting will be featured on the annual holiday music CD, Broadway’s Carols for a Cure, Vol. 16. Stars, casts and musicians from the current Broadway line-up are completing recording now for the 2014 Broadway’s Carols for a Cure, Volume 16. Singing traditional and original songs, this annual holiday music CD benefits Broadway Cares/Equity Fights AIDS, one of the nation’s leading industry-based, nonprofit AIDS fundraising and grant-making organizations. 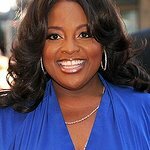 Recordings also include casts from “Aladdin,” “Wicked,” “The Phantom of the Opera” and “Cabaret.” Additionally, celebrity gossip blogger and Broadway fan Perez Hilton once again recorded a track in support of Broadway Cares/Equity Fights AIDS. Purchase of this annual CD of original and traditional holiday music supports Broadway Cares/Equity Fights AIDS. Broadway’s Carols for a Cure, Volume 16 can be ordered for only $25 through BC/EFA at broadwaycares.org or by calling (212) 840-0770 x238 Monday-Friday, 10:00 a.m. – 5:00 p.m. EST. Volumes from previous seasons are available too (check online or call for price). As always, the CDs will be sold at participating Broadway and off-Broadway shows in New York during a six-week “Gypsy of the Year” fundraising period, which begins October 24 and runs through December 7. Additionally, the CDs are available at select venues throughout the U.S., including The John F. Kennedy Center for the Performing Arts in Washington, DC. Rock-it Science Records is an independent record label based in New York City co-founded by Broadway performer and producer Lynn Pinto. RSR produces recordings for members of the Broadway community and Broadway’s leading charity, Broadway Cares/Equity Fights AIDS. RSR’s popular series Broadway’s Carols for a Cure is currently in its sixteenth year. This highly anticipated annual holiday release features casts from the current Broadway line-up of shows performing new and traditional holiday music. Broadway’s Carols for a Cure offers a “snapshot” of each season, as the casts and orchestras from each show on Broadway perform their own holiday track. Since 1999, Broadway’s Carols for a Cure has featured the creative talents of thousands of Broadway’s brightest stars and has raised over $3 million for Broadway Cares/Equity Fights AIDS.